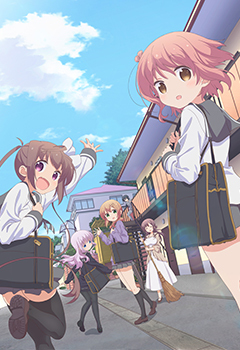 The Slice of Life Anime depicts the everyday life in all its beauty. This genre focusses on realistic premises and settings with characters you can relate to. 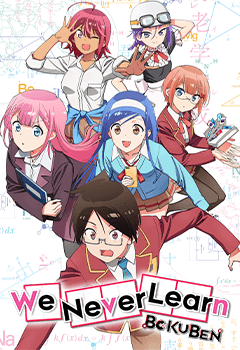 Whether the story takes place in the high school, the office or anywhere in between, you can always expect a relaxing and enjoyable watch from your Slice of Life Anime! In the year 2045. The world has been contaminated by mysterious invaders. 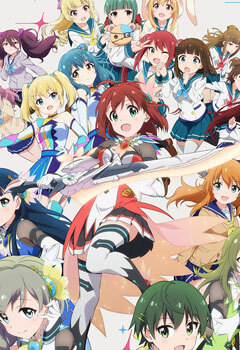 Standing against these invaders are the “Hoshimori”s, 18 chosen maidens destined to mankind. 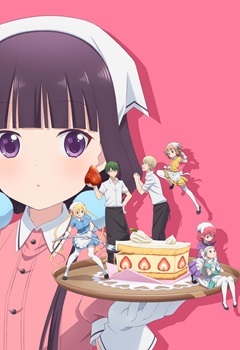 Maika gets a job at a cafe where all the waitresses are given certain attributes — such as "tsundere" or "little sister" — to embody while serving customers. 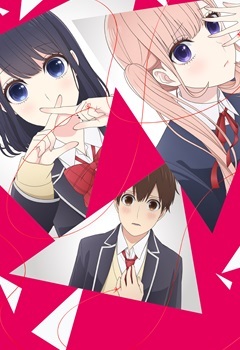 Masamune Izumi is a light novel author in high school. 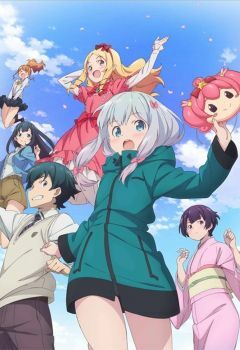 His artist, known only as "Eromanga Sensei" is reliable but Masamune has never met him and assumes he's just a perverted otaku. Masamune's little sister is Sagiri, a shut-in girl who hasn't left her room for an entire year. 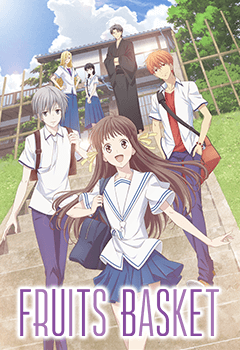 Tohru Honda is a high-school student who has to live in a tent after her mother, her one and only family, died. However, the field where she set up her tent belongs to the great Soma family! 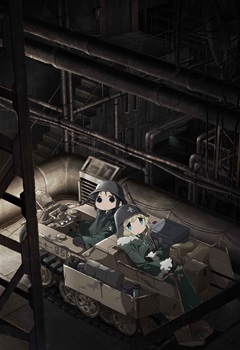 Civilization is dead, but Chito and Yuuri are still alive. So they hop aboard their beloved Kettenkrad motorbike and aimlessly wander the ruins of the world they once knew. Day after hopeless day, they look for their next meal and fuel for their ride. 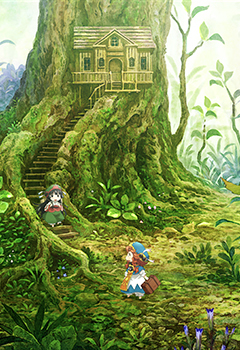 This is the story of two little girls living in the heart of a luxuriant forest. They are comfortably set up in a hollow tree trunk and they use leaves as umbrellas and carry birds and insects on their backs. Lies are forbidden and love is doubly forbidden. In the near future, when young people in Japan turn sixteen, they are assigned a marriage partner by the government. People don’t have to go through the trouble of looking for someone, and everyone accepts that the country will find a compatible partner to make them happy. ? This is a gentle tale about people trying to regain something. And it is a tale of battle. 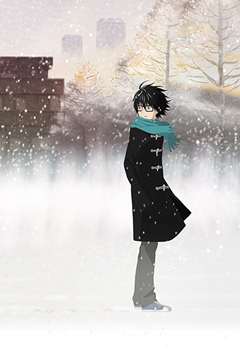 The main character, Rei Kiriyama, lost his family in an accident when he was young. Now he is a 17-year-old pro shogi player who is burdened with deep loneliness. There’s a secret lair full of mysteries in the centre of Ueno park. Three little girls meet there every day. 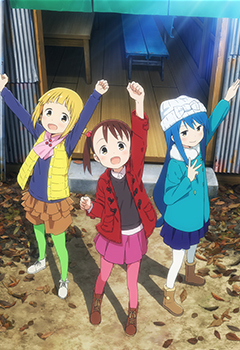 However, they are no ordinary little girls but members of Colors, an organization fighting for justice whose mission is to protect Ueno. He was living a very quiet life when one day, he found the courage to declare himself to the girl of his dreams. But he realized that his sweetheart was not what you would call “normal”. Ren Amamiya transfers to Shûjin high school during the spring of his second year. After a weird event, Ren’s Persona is awakened. 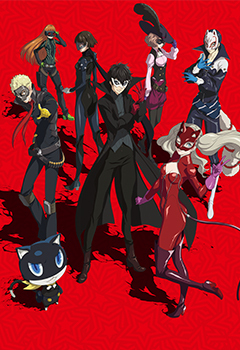 He creates with his new friends the Phantom Thieves of Hearts organization. 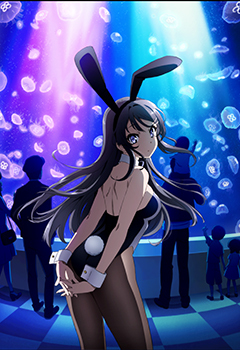 Sakuta Azusawaga is a high school student living near Enoshima, a city nestled between sky and sea. There he meets many schoolmates suffering from the teenage syndrome, a disorder affecting mentally fragile youngsters. 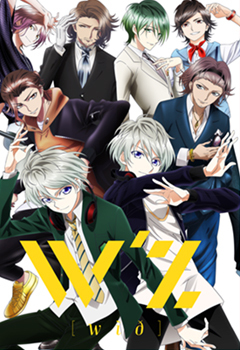 Yuugo Hachiken is studious, hard-working, and tired of trying to live up to expectations he just cannot meet. 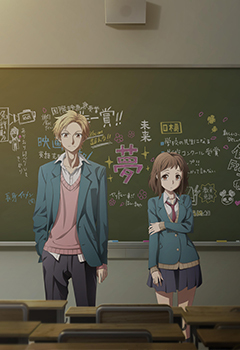 With the ushering in of a brand-new school year, he decides to enroll in Ooezo Agricultural High School, a boarding school located in the Hokkaido countryside, as a means to escape from the stress brought upon by his parents. Ichonise Hana has always been quite shy by nature. Her new life starts far from her parents. She moves to the Temari Heights building run by her cousin Shion and joins a new high school. Hana is still a child although she already embraces her adult life. A life that is going to be full of surprises. 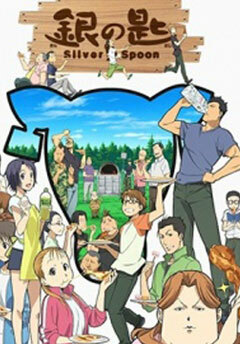 Watch this series full of tenderness and follow Hana’s first steps towards maturity. 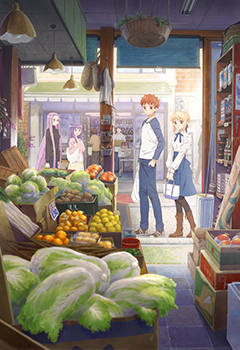 Shirô and Saber are shopping for New Year's Eve. Shirô explains a few customs and teaches us his special soba recipe, the perfect meal to share with your family at the end of the year. My name is Yuki Araki, I’m fourteen. I am a DJ. Since I was a child, I’ve been influenced by the House music my parents used to listen. I post videos online of me at the turntables. Conveying emotions, being famous, feeling essential. Kousei Arima was a genius pianist until his mother’s sudden death took away his ability to play. Each day was dull for Kousei. 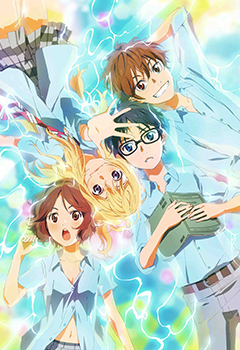 But, then he meets one violinist by the name of Kaori Miyazono.